The boat went together in about an hour. I'm sure it will go faster the next time I have to assemble it.I haven't put it in the water yet, but I'm sure I'll enjoy the boat when I do. I also bought a 30 lb thrust trolling motor and I'm anxious to see how long the battery will power the motor. I've read between two and three hours for the battery I bought, so I'll find out in the next few days. I've also ordered a swivel seat mount and think that will work out much better than the fixed seat mount that is part of the boat. 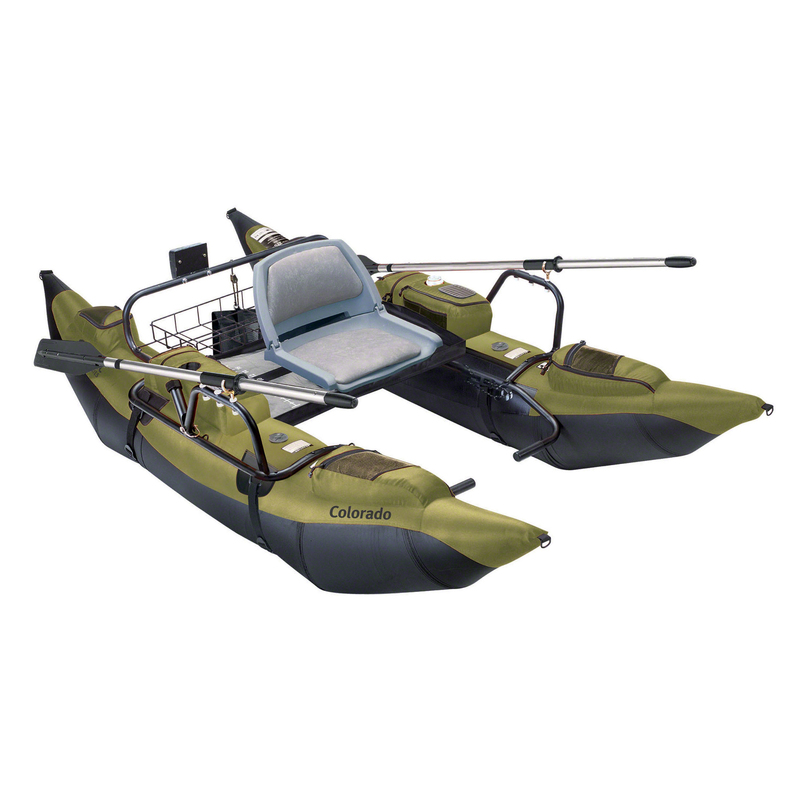 Colorado assembled size 108\"L x 56\"W x 26\"H (to top of seat), Weight: 71.5 lbs. Tbook.com crawls the web to find the best prices and availability on products like Classic Accessories Colorado Pontoon Fishing Boat. This product is one of the more popular items we list which is why it is in our "hot deals" section. If you have any questions on this product, please give us a call at 734-971-1210 during the hours of 9am - 5pm EST for assistance. Thank you for shopping at Tbook.com, the Internet Department Store!